One of the most acclaimed travel writers of our time turns his unflinching eye on an American South too often overlooked Paul Theroux has spent fifty years crossing the globe, adventuring in the exotic, seeking the rich history and folklore of the far away. Now, for the first time, in his tenth travel book, Theroux explores a piece of America - the Deep South. He finds there a paradoxical place, full of incomparable music, unparalleled cuisine, and yet also some of the nation's worst schools, housing, and unemployment rates. It's these parts of the South, so often ignored, that have caught Theroux's keen traveler's eye. On road trips spanning four seasons, wending along rural highways, Theroux visits gun shows and small-town churches, laborers in Arkansas, and parts of Mississippi where they still call the farm up the road 'the plantation.' He talks to mayors and social workers, writers and reverends, the working poor and farming families - the unsung heroes of the south, the people who, despite it all, never left, and also those who returned home to rebuild a place they could never live without. 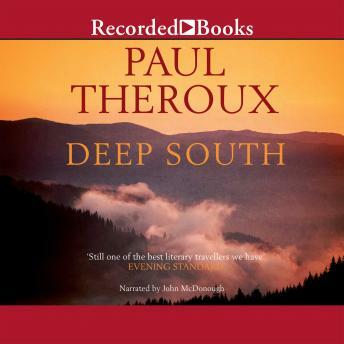 From the writer whose 'great mission has always been to transport us beyond that reading chair, to challenge himself - and thus, to challenge us' (Boston Globe), Deep South is an ode to a region, vivid and haunting, full of life and loss alike.